From Fortune: A Swiss court has found a defendant guilty of defamation because he "liked" anti-semitic Facebook posts aimed at an activist animal rights plaintiff. The plaintiff demonstrated that the defendant's "likes" spread the content to others without justifiable cause, and caused harm to the plaintiff's reputation. Under the Swiss Criminal Code courts can impose a fine on defendants found guilty of defamation. The judge in the Facebook post comment case has imposed a $4,000 fine. Compare the court's ruling with a 2015 Pennsylvania case in which a court ruled that "liking" a Facebook post is not defamatory. More about the Swiss case here from CNN Money and The Telegraph. Patricia Aufderheide, Aram Sinnreich, and Louisa Imperiale, all of American University, and Carolyn Silvernail, Independent, are publishing Norms-Shifting on Copyright and Fair Use in the Visual Arts Community, in the Visual Arts Review (Winter 2018). Here is the abstract. This study tracks changes in behavior and attitude among visual arts professionals after the development of a code of best practices in the copyright doctrine of fair use. A survey of 2,400 professionals fielded only months after its publication demonstrated broad awareness of the code, informing practice and inspiring efforts to spread awareness. The greatest degree of awareness and change was among editors, several of whose publications altered their copyright policies. Professional and social networks were critical to spreading awareness. Despite a continuing lack of confidence in interpreting the law among individual professionals, the existence of a code contributed to significant change in norms and practices via institutional adoption. This study demonstrates that codes of best practices can affect field behavior, but that change depends on publicity, formal education, continuing support for early adopters, and institutional policy changes. Charles Patrick Desmond Cronin, USC Gould School of Law, has published Seeing is Believing: The Ongoing Significance of Symbolic Representations of Musical Works in Copyright Infringement Disputes. Here is the abstract. Since the mid-twentieth Century the development of audio recording and synthesized sound technologies has radically altered how popular songs are created, fixed, disseminated, and consumed. Courts adjudicating copyright infringement claims involving musical works whose content and creation depend on these technologies, still emphasize melody, harmony, rhythm, and words – all recordable in visible symbols – as the protectable core of these works. This emphasis has been criticized as obsolete, and inapt when applied to musical works created and documented by performers only in audible formats, in which sonic and stylistic attributes may contribute more than fundamental musical elements to the popular appeal of a song. The legitimacy of this criticism depends upon our understanding of both what constitutes a copyrightable musical work, and also notation’s efficacy to represent it. This article argues that the judiciary’s traditional view of protectable expression of musical works as limited to a combination of melody, harmony, rhythm, and words, continues to be valid today despite changes in how popular songs are typically created and fixed. Timbre, dynamics, and other stylistic sonic – and, increasingly, visual – attributes closely associated with performance may significantly affect the appeal and marketability of the audio/video recording of a popular song. Yet they may contribute little to the underlying copyrightable work of music. Consider that while a documented meaningful combination of melodic, harmonic, and rhythmic elements alone may constitute a musical work, a similar combination of information about instrumentation, dynamics, tempo, etc. – i.e., elements more closely associated with the performance of a musical work – does not. Melody, harmony, rhythm, and words can be precisely recorded in graphical symbols. This article argues that given that sight is our most developed sense, visual documentation should be the medium by which courts and juries evaluate allegations of substantial similarity between two musical works. If courts permit litigants to present audible renditions of musical works, these renditions should be limited to MIDI-produced sound based on transcriptions of the melodic, harmonic, and rhythmic content of the works in question by a neutral party appointed by the court. If the judiciary were to broaden copyright protection for musical works to incorporate sonic and stylistic elements closely associated with their performance, this expansion could generate paralyzing uncertainty among popular musicians about the scope of protection for extant works. It could also lead to monopolization of musical ideas, which would inhibit the very production of original musical expression that copyright is supposed to promote. Xavier Seuba, Christophe Geiger, and Linhua Lu, all of the University of Strasbourg, Centre for International Intellectural Property Studies (CEIPI), have published The Evaluation and Modernisation of the Legal Framework for the Enforcement of Intellectual Property Rights as Centre for International Intellectual Property Studies (CEIPI Research Paper No. 2015-03). Here is the abstract. The judiciary fulfils a central role in relation to intellectual property enforcement. The EU Commission’s public consultation of December 2015 contains a specific subsection devoted to specialized courts, asking whether legal action at a court specialized in intellectual property provides an added value compared to legal action at other courts. CEIPI comments on the consultation aim at contributing to an informed debate on specialization and intellectual property adjudication, a debate revolving around technical complexity, judicial design, and the broader understanding of the legal system. Australian actress Rebel Wilson (What To Expect When You're Expecting, Pitch Perfect 2) is suing Bauer Media, the publisher of the Australian magazine Woman's Day and other publications, for running stories that claim she falsified her age, facts about her upbringing, and other things about her background that lost her movie roles and made her unemployable in Hollywood. A jury in Melbourne is now hearing the case. Bauer Media's attorneys maintain that the stories would not have lowered Ms. Wilson's reputation in the eyes of reasonable readers. They also say the stories are accurate. The case is expected to last three weeks. 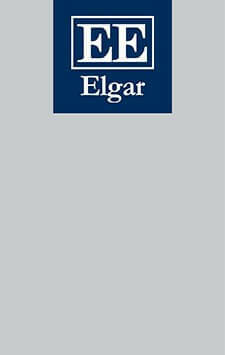 New from Elgar: Research Handbook on the History of Copyright Law (Isabella Alexander and H. Tomás Gómez-Arostegui, eds., Elgar Publishing, 2017) (Research Handbooks in Intellectual Property Series). Pew Research Survey: Many More Democrats Than Republicans Believe News Media Keeps Politicians "In Line"
The Pew Research Center has released some new information about Americans' attitudes toward the news media. Specifically, Pew notes that Democrats are more likely to believe that the media tends to act as a check on politicians (nearly 90 percent of Democrats believe that), but Republicans are less likely to believe it (just over forty percent of Republicans do). Thus, there's nearly a fifty percent gap in the way registered members of the two major parties currently view the the traditional role of the media. More here. David O. Klein and Joshua R. Wueller, both of Klein Moynihan Turco, LLP, have published Fake News: A Legal Perspective in the Journal of Internet Law (April 2017). Here is the abstract. The concept of “fake news” has garnered substantial attention in recent years, evolving from its satirical literary origins into a passionately criticized Internet phenomenon. Whether described as rumors, “counterknowledge,” misinformation, “post-truths,” “alternative facts” or just plain damned lies, these false statements of fact typically are published on Web sites and disseminated via social media for profit or social influence. While fake news publishers are regularly taken to task in the court of public opinion, we are unaware of any prior structured discussion of the unique legal issues surrounding the publication of fake news. This article evaluates examples of fake news publications to present a workable definition of “fake news” for purposes of our legal analysis. We then explore many of the legal and regulatory hurdles facing online fake news publishers. This article concludes by discussing some of the legal protections available to fake news publications and publishers of other online content. Judith Townend, School of Law, Politics, and Sociology, University of Sussex; Information Law and Policy Centre, Institute of Advanced Legal Studies, and Richard Danbury, De Montfort University, have published Protecting Sources and Whistleblowers in a Digital Age. Here is the abstract. A working report published as part of an initiative supported by Guardian News and Media, based on research conducted at the Information Law and Policy Centre, Institute of Advanced Legal Studies. Launched at an event in Parliament on 22nd February 2017. Download the report from SSRN at the link. Eoin Carolan, University College Dublin School of Law, is publishing Protecting Public Interest Reporting: What Is the Future of Journalistic Privilege? in the Irish Jurist. Here is the abstract. Questions have recently been raised by the Disclosure Tribunal about the scope and basis of journalistic privilege: does it exist; who is it for; and when should it apply? This paper considers these questions in light of the decisions of courts in Ireland, Canada, Europe and England & Wales. It argues that there is no such thing as journalistic privilege. There is no absolute immunity from scrutiny for any person who describes themselves as a reporter. However, there is a strong argument that the law should recognise an exemption from legal obligations to disclose information; that there should be a presumption that news journalists are entitled to this exemption; but that this should be confined to situations where an exemption is sought in respect of material obtained by a journalist in good faith, the disclosure of which would undermine responsible news gathering practices. 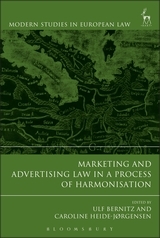 Marketing and Advertising Law in a Process of Harmonisation (Ulf Bernitz and Caroline Heide-Jørgensen, eds., Hart Publishing, 2017) (Modern Studies in European Law). The law on marketing and advertising has undergone profound changes based on the EU directives on unfair commercial practices and misleading and comparative advertising. The legislation partially requires full harmonisation and contains a comprehensive blacklist of prohibited practices. However, in other areas, only minimum harmonisation is required. A comprehensive case law from the CJEU has emerged, but still many issues remain open, unclear and debated. The EU Commission has an active interest in the field and has published numerous reports on the question. In addition it has developed revised, comprehensive guidelines on marketing business to consumer (B2C), which are fully discussed here. Further Commission initiatives in the area on business to business (B2B) marketing are also in the making, underlining the importance of this new collection. The book is available in hardcover, epub, and PDF formats. Wendy Leo Moore, Texas A&M University, and Joyce M. Bell, University of Minnesota, have published The Right to Be Racist in College: Racist Speech, White Institutional Space, and the First Amendment, at 39 Law & Policy 99 (2017). Here is the abstract. Throughout the post–civil rights era, colleges and universities across the United States have periodically experienced explicitly racist incidents on their campuses. From the hurling of racial slurs at students of color, to the hanging of nooses on campus, to students donning Ku Klux Klan outfits or throwing “ghetto” parties that caricaturize communities of color, these incidents challenge the notion that modern racism has changed to a more subtle form, referred to as color‐blind racism. We place these incidents within a broader context of race and institutions, suggesting a connection between overt racist expressions and the more covert elements of neoliberal color‐blind racism. Through a critical discourse analysis of news stories about these incidents, the website of the Foundation for Individual Rights in Education, and the controlling legal cases involving racist expression on campuses, we suggest that explicitly racist incidents operate in tandem with neoliberal educational policies and color‐blind racism to mark and reinscribe colleges and universities as white institutional spaces. Lennin Hernandez Gonzalez, Independent, has published Is a Selfie Worth a Thousand Words? The Right to Protection of One's Image from a Belgian Perspective at 2017 The Entertainment Law Review 1. Here is the abstract. This article provides a general introduction to image rights, also called right to one’s own image, portrait rights or right of self image and portrait. It gives a definition of image rights and analyzes their history and legal basis. It tackles some of the issues derived from uploading a selfie to social media networks and attempts to answer the following questions: Who can be the author of a selfie? What if the selfie depicts more than one individual? What are the legal consequences of the so-called “group selfies” or “groupies”? Media Law and Policy in the Internet Age (Doreen Weisenhaus and Simon N. M. Young, eds., Bloomsbury, 2017). Among the many interesting essays in the book: Peter Noorlander (Defending Media Freedom in the Internet Age), Lord Lester of Herne Hill (Free Speech, Reputation and Media Intrusion: Law Reform Now), Andrew Kenyon (Rethinking Reynolds: Defending Public Interest Speech), Paul Schabas and Adam Lazier (Defamation Law in Canada and England: Emerging Differences), and Peter Bartlett (Privacy Down Under). The emphasis is on UK and Commonwealth law, but also includes some essays on Chinese and Philippine law. However, US readers will find a great deal to reward them in this publication. The editors have also included a Table of Cases, a Table of Legislation, and an extensive index. The publisher is offering a 20 percent discount: use the discount code CV7 at the website. Disclaimer: The publisher provided me with a review copy at no charge for a fair and honest review. Barton Beebe, Roy Germano, and Christopher Jon Sprigman, all of the New York University School of Law, and Joel Steckel, New York University Department of Marketing, have published Is Trademark Dilution a Unicorn? An Experimental Investigation. Here is the abstract. Significant resources are devoted to litigating a concept known as trademark dilution. Dilution involves situations where an entity other than a trademark’s original owner uses a brand name or logo in a way that weakens the strength and distinctiveness of the original mark, even when no confusion occurs. It is unclear, however, whether trademark dilution actually exists. The best evidence that it does comes from a set of studies showing that respondents are slower to match brands to their product categories and product attributes after being exposed to an advertisement for a different product using the same or a similar brand name. This article casts doubt on the construct validity of these reaction time studies. Through a series of new experiments, we argue that what prior reaction time studies reported as evidence of trademark dilution is actually the artifact of a flawed experimental design that fails to control for the effect of seeing a surprising advertisement. Our findings lead us to conclude that like the proverbial unicorn, dilution is theoretically plausible, but remains empirically unproven. Terry S. Kogan, University of Utah College of Law, is publishing How Photographs Infringe in volume 19 of the Vanderbilt Journal of Entertainment & Technology Law (2017). Here is the abstract. Courts and commentators have lavished attention on the question of what makes a photograph original and entitled to copyright protection. Far less attention has been devoted to the issue of how photographs infringe. This is the first Article to systematically explore the different ways in which a photograph can steal intellectual property. Photographs can infringe in two ways: by replication and by imitation. A photograph infringes by replication when, without permission, a photographer points her camera directly at a copyright-protected work — a sculpture, a painting, another photograph — and clicks the shutter. A photograph can also infringe by imitation. In such cases, the plaintiff’s claim is that the infringing photograph imitates the creative expression in her own picture. One type of photographic infringement by imitation has confounded courts, instances in which the plaintiff photographer stages a tableau before clicking the shutter — e.g., poses a person for a portrait or assembles fruit on a table for a still life — and the defendant imitates that tableau. Copyright law is clear that a photographer has a protected interest against others copying the tableau she staged for a picture. Nonetheless, many courts simply refuse to find infringement in such cases, even when the defendant admits to having imitated that tableau. Looking to the idea/expression dichotomy, these courts excise from consideration the staged tableau as the unprotected “idea” of the plaintiff’s photograph. Having cut the heart out of that image, they inevitably find the defendant’s photograph not to be infringing. This Article argues that looking to the idea/expression dichotomy to ignore a plaintiff’s staged tableau not only renders a nullity of an entire category of protected photographs, but profoundly misunderstands where to locate a photograph’s “idea.” That idea exists not on the face of the image. Rather, it is the mental vision that a photographer hopes to capture in taking a picture. If she shares that vision with other photographers, they are free to try their hand at embodying that idea in a photograph with no fear of infringement. Once a photographer clicks the shutter, however, the resulting image is expression — entirely expression. Courts and commentators have justified applying the idea/expression dichotomy to eviscerate photographs out of a concern for protecting the scope of creativity for downstream photographers. This Article proposes that the “thin copyright doctrine” can offer a much better approach to providing such protection. It proposes a “silver platter” principle for determining when a photograph should be entitled only to thin protection. Robert P. Merges, University of California, Berkeley, School of Law, is publishing "What Kind of Rights Are Intellectual Property Rights?" in Oxford Handbook of IP Law (R. Dreyfuss and J. Pila, eds., Oxford U.P.) (forthcoming). Here is the abstract. Are intellectual property rights (IPRs) really rights? And if so, what kind of rights? Most importantly, what difference does it make that they are rights – what practical import does this carry? These are the questions I take up in this Chapter, which is forthcoming as part of The Oxford Handbook of Intellectual Property Law (Rochelle C. Dreyfuss & Justine Pila, eds., forthcoming 2017). I begin by clearing up some misunderstandings about legal rights. The primary one is that rights are absolute. A secondary one is that one need do nothing to obtain or exercise a right, and that therefore any legal entitlement that requires affirmative steps to secure cannot be a right. Next I consider a prominent critique of the idea that IP rights are property rights, which holds that they are more akin to government regulation. After that I turn to an enumeration of the details of IP rights, described in the terms laid down by the prominent theorist of legal relations, Wesley Newcomb Hohfeld. From this I distill the key attributes of property as it applies to IP rights: 1. It is ‘good against the world’ – no prior contract or other legal relationship is required to create a duty on the part of third parties to respect the right; 2. It defines uses of an asset that are under control of the owner; it demarcates what is ‘in’ and ‘out’ of the owner’s ambit of authority; 3. It is broadly transferable; yet the owner retains residual rights over those aspects of the right that are not transferred. In addition, it includes a special form of quasi-transfer power, in that it permits the owner alone to decide whether and when to enforce the right. Taking up the theme of IP as a (non-absolute) form of property, I then consider three key limits. IPRs are: 1. Contingent; they are subject to government processes to acquire or enforce, such as perfection, approval, maintenance, and the like; 2. Time-limited; most IP rights have specified terms, and even those that do not will usually lapse at some time; 3. Bounded in scope; the class of assets the IP rights cover is subject to boundaries drawn with more or less precision. None of these limits is enough to disqualify IP from being property. But altogether they impose significant restrictions on the strength or power of an IP right. After these general points, two special problems then draw my attention: injunctions in IP law and constitutional takings of IP rights. Finally, I conclude with some observations about why, when properly framed, engaging in ‘rights talk’ about IP does not inexorably point to absolutist views. Throughout I emphasize two highly consistent thoughts: IP rights are real rights; but they are limited rights. They dominate some interests but not all, and they are subject to restrictions and limitations that third parties sometimes hold as rights also. Eric Goldman, Santa Clara University School of Law, has published Surveying the Law of Emojis. Here is the abstract. Everyone loves emojis! It’s easy to see why. Historically, most online communications have emphasized text, and emojis add much-needed emotional content to text-driven communications—and often help people express themselves more precisely. Due to the enthusiastic embrace of emojis, we are witnessing a historic change in how we communicate online. This article surveys three significant ways the emoji revolution will impact the law. First, questions about what emojis mean will arise in a wide range of legal doctrines, from criminal law to contracts. Our standard interpretative tools generally can handle new communicative technologies, but several aspects of emojis will require careful consideration. Most significantly, senders and receivers will unexpectedly see different versions of an emoji due to technological intermediation, leading them to make reasonable—but different—interpretations of the same communication, with potentially adverse consequences for one or both parties. The article will explore some steps that would reduce the risks of these misunderstandings. Second, emojis will often qualify for copyright and trademark protection. However, IP protection encourages platforms to differentiate their emoji implementations, which exacerbates the risks of miscommunications and misunderstandings. To mitigate this outcome, IP protections for emojis should be interpreted narrowly. Third, emojis create some issues for judicial operations, including if and how judges will display emojis in their opinions, if emojis in court opinions will be searchable, and how best to present emojis as evidence to fact-finders. The FCC will investigate Stephen Colbert's joke about Donald Trump and Vladimir Putin, delivered May 1st on his late-night talk show. It airs at 11:35 EDT. The FCC Chair, Ajit Pai, said the standard the FCC will apply is "obscenity," (as laid out in Miller v. California), because Mr. Colbert's show airs after the 10 p.m. watershed period. Mr. Pai said the agency had received complaints about Mr. Colbert's language. More about obscene and indecent language from the FCC website here. More here at The Hill, here at Slate. Brian Gabrial, Concordia University, The Press and Slavery in America, 1791-1859: The Melancholy Effect of Popular Excitement (University of South Carolina Press, 2016). Slavery remains one of the United States' most troubling failings, and its complexities have shaped American ideas about race, economics, politics, and the press since the first days of settlement. Brian Gabrial's The Press and Slavery in America, 1791–1859 examines those intersections at times when the nation and the institution of slavery were most stressed, namely when slaves revolted or conspired to revolt. Such events frightened white, slave-owning society to its core and forced public discussions about slavery at times when supporters of the peculiar institution preferred to be silent. Gabrial closely reads the mainstream press during the antebellum years, identifying shifts in public opinion about slavery and changes in popular constructions of slaves and other black Americans, a group voiceless and nearly invisible in the nation's major newspapers. He reveals how political intransigence rooted in racism and economics set the country on a perilous trajectory toward rebellion and self-destruction. This volume examines news accounts of five major slave rebellions or conspiracies: Gabriel Prosser's 1800 Virginia slave conspiracy; the 1811 Louisiana slave revolt; Denmark Vesey's 1822 slave conspiracy in Charleston, South Carolina; Nat Turner's 1831 Southampton County, Virginia, slave revolt; and John Brown's 1859 Harper's Ferry raid. Gabrial situates these stories within a historical and contextual framework that juxtaposes the transformation of the press into a powerful mass media with the growing political divide over slavery, illustrating how two American cultures, both asserting claims to founding America, devolved into enemies over slavery.